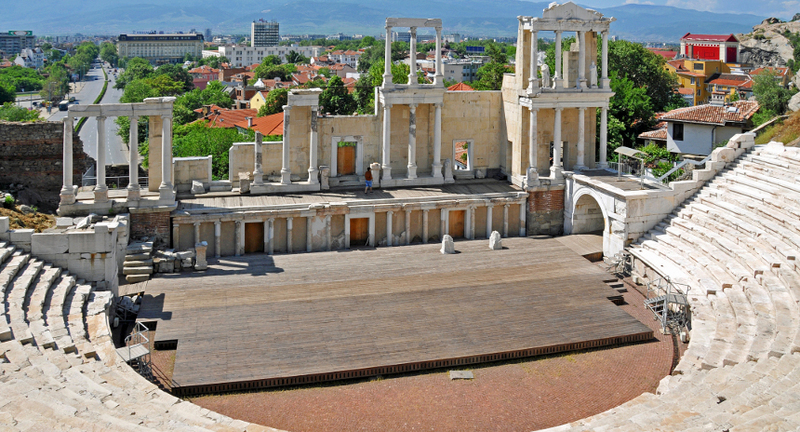 The cliché “you must see Plovdiv to see Bulgaria” is absolutely true and there is so much to explore in the country’s second biggest city. Plovdiv (160 m a.s.l. ), a 2 hour drive from Sofia, is situated in the western part of the fertile Thracian Valley. It is also one of the oldest European towns contemporary to Troya and Mycenae. With about a 2-hour walking tour you will learn about its intriguing history while exploring the charming historic quarter of the city – a fabulous architectural ensemble of beautifully decorated 19th century houses, the ancient fortress-walls, magnificent churches and Roman structures like a forum and stadium. In the afternoon a 30 minutes trip will take you to Bachkovo Monastery (est. the year 1083), a notable religious and tourist site. Enjoy the unique frescoes of the dining room and the facade of St. Nicholas Church, while your guide explains about the history, architecture and nowadays life in the monastery.